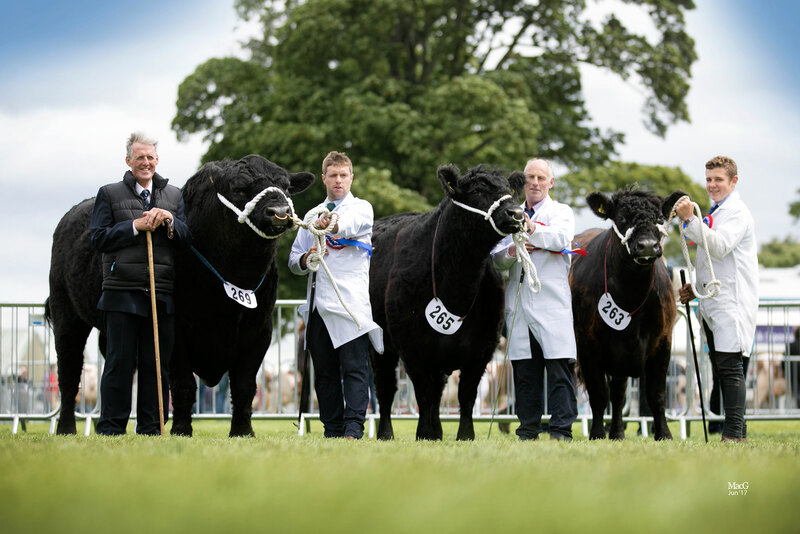 Galloways awarded Native Interbreed Team Award and Interbreed Junior Championship. 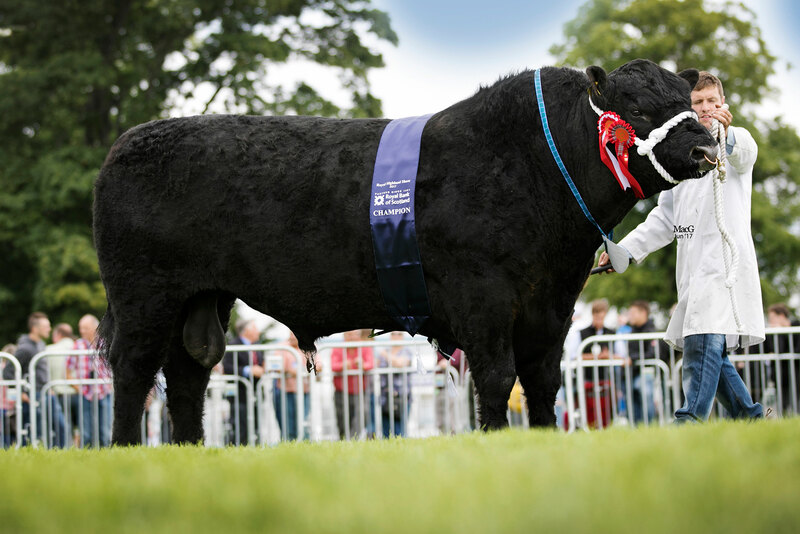 For the second year running, the impressive bull Blackcraig Sid from John, Ann, Iain and Kelly Finlay from Blackcraig, Corsock, Castle Douglas, clinched the Breed Champion award at Scotland’s premier event the Royal Highland Show. The 7 year old, senior stock bull Blackcraig Sid is by the homebred bull Blackcraig Nimrod, who is a previous National show winner and out of Finmac Libby N195 an embryo John and Willie MacLean imported from Australia - Libby is also a former show cow winning at the Royal Highland show three times. 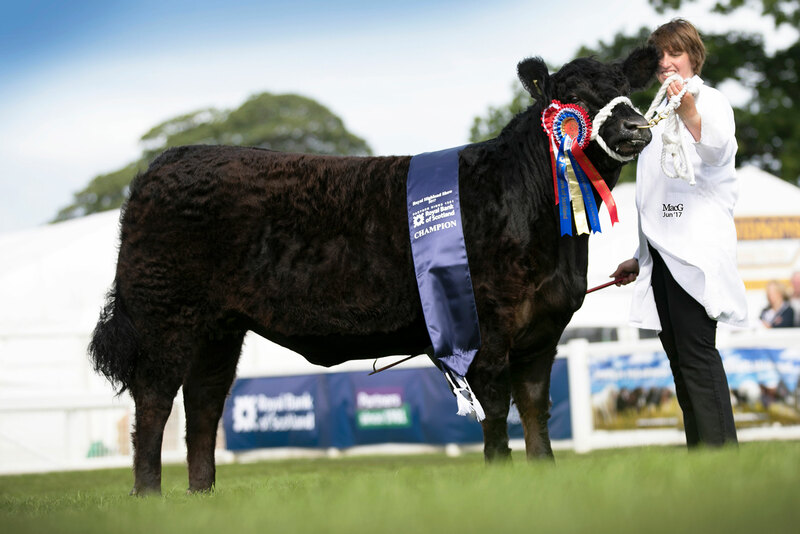 Sid has had an successful show career to date, as he was unbeaten last year, awards included Interbreed and National Show champion at Dumfries show. 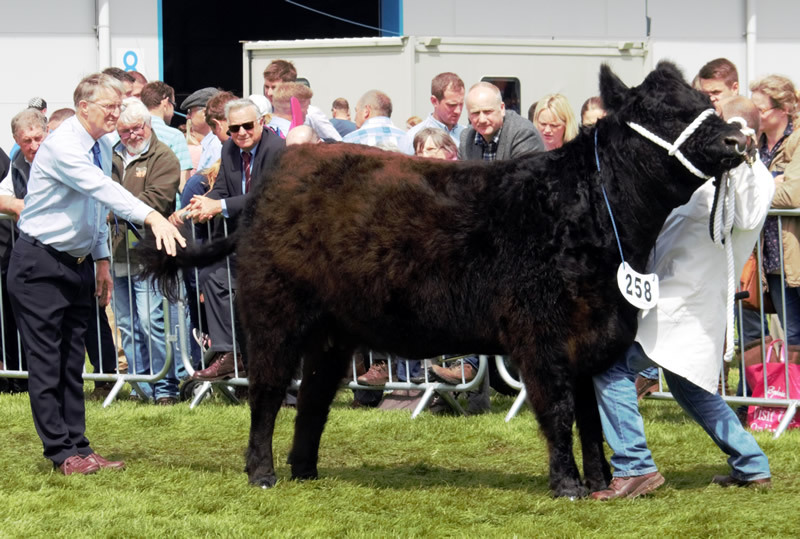 Taking the overall reserve and female title was Jim and Selina Ross, Romesbeoch, Shawhead, Dumfries with Nerys 1668 of Romesbeoch, this September 2014 born Turbo Tam of Nether Cleugh daughter came first in the largest class of the day, she is out of the famous Nerys line. This was her second show outing. Her sire - Turbo Tam of Nether Cleugh was reserve male champion in a repeat of the male championships from last year’s Highland show. Turbo Tam was purchased at 2013 Spring show and sale at Castle Douglas for 2000gns, he is by Blackcraig Quest and out of Nerys Patricia of Nether Cleugh. Troloss Farms, Elvanfoot, by Biggar took home the reserve female champion with Sensation 1st of Troloss, expertly brought out by stockman Joe Cockburn stood second to the female and reserve overall champion, she is by Blackcraig Dec – Troloss’s senior stock sire which was purchased in 2014 for 3000gns and out of Ben Lomond Keepsake. Silverbell 12th of Gall-way from Jason and Sarah Wareham, Little Tottingworth, Broadoak, East Sussex was awarded Galloway Junior Champion and then later on in the week was awarded supreme interbreed Junior Championship - a first for the Galloway breed. Silverbell 12th a 20 month old Lochnagar of Gall-way daughter and out of the renowned Silverbell family was purchased privately from Dennis and Margaret Gall on their retirement. The reserve junior was the Strathurr Yogi, exhibited by new members and first time exhibitors at the show Balavil Estates, Kingussie, brought out by stockman Robert Marshall, this 9month old bull is by Blackcraig Vagabond and out of Blackcraig Bertha which Robert sold to Balavil when he joined the company. As new exhibitors to the Galloway section, Balavil Estates received the new exhibitors prize of £100 which is presented by David and Debs Heath. Congratulations to the Galloway Native team, J & A Finlay – Blackcraig Sid, J & S Ross – Nerys 1306 of Romesbeoch and Balavil Esates – Blackcraig Bertha U452 who was place first in Native Breeds Interbreed Team Competition on the Saturday of the show over the other five native breeds. An award the Galloways have not won since 2010. Once again the Society was represented in the Breed Society Avenue with the exhibition stand - we were delighted to welcome everyone to the stand, especially our overseas visitors which included, Germans, Dutch, Austrian and Canadian friends. Thanks to our members who manned the stand and all our home bakers who provided goodies for everyone. Champion Medal, Dr William Heughan Memorial Trophy, The Dr Gillespie Memorial Challenge Trophy and cash prize for breed champion. Rosette for herdsman in charge of best Animal.